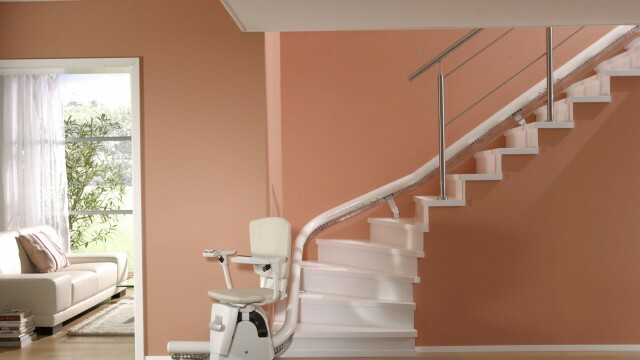 When using a stairlift, it’s important to think of not only your own safety but also that of others sharing your home and that nobody is put into a dangerous situation, either by the stairlift user or other members of the household. While safety is always increased by having the stairlift serviced and checked over every now and then which you can read about at stairlifts servicing for safety and optimum use it’s the actual use, awareness and responsible attitudes of anyone living within a household with a stairlift in place that can really add positively to the situation to ensure that no one is at risk of an accident and injury. Some ways that you can improve safety is by making sure that the stairs have no objects left lying around on them, even if there is something placed on one of the steps, a pair of shoes maybe or a box that someone is due to remove soon, the objects might seem that they are out of the area that the stairlift passes along, but you cant be sure of this. It’s overall safer and a better idea to set a rule within the household where no one will leave any objects lying around on the stairs, no matter how harmless it may seem at the time. Another habit to get into is making sure that the stairway is not being used by anyone else, whether you are the sole stairlift user or one of the users or a member of the household who does not need use of the stairlift, it’s essential that no two people try to squeeze past each other while the stairlift is being used. Being properly seated and positioned is important to your safety while using the stairlift and also making sure that only one person is actually in position on the stairlift when in use. For example it might seem harmless to sit a child on your lap but as it’s impossible for a second person to be positioned safely and you cant guarantee their safety then this makes it a dangerous situation and one that should be avoided. There’s also the fact that the manufacturers do not design the stairlift chairs to take two people on them safely. It may seem fun for a child but it would put both the child and the user in danger if they took this risk. If you have any pets within the household which are allowed to roam from room to room, like a dog or a cat then making sure that they cant easily enter the hallway while you intend to use the stairlift can also prevent any dangerous situations from occurring. If you are sure that your pet will not get in the way during operation of the stairlift then this might not be so much of an issue for you, but even so, it’s worth keeping in mind that a household pet can suddenly bolt straight up the stairs or act out of character and this could cause suprise to you which could lead to something going wrong. Keeping each of these things in mind if they apply to your household will ensure that you and the rest of the people in your home are not put at risk and that everyone is kept safe while the stairlift is in use and even when it’s not in use.